Pulsed MIG: To Pulse or not to Pulse? In the coming years, the strongest companies will prevail. Those companies will likely have a strong history of cost reduction by way of improved efficiencies and output. 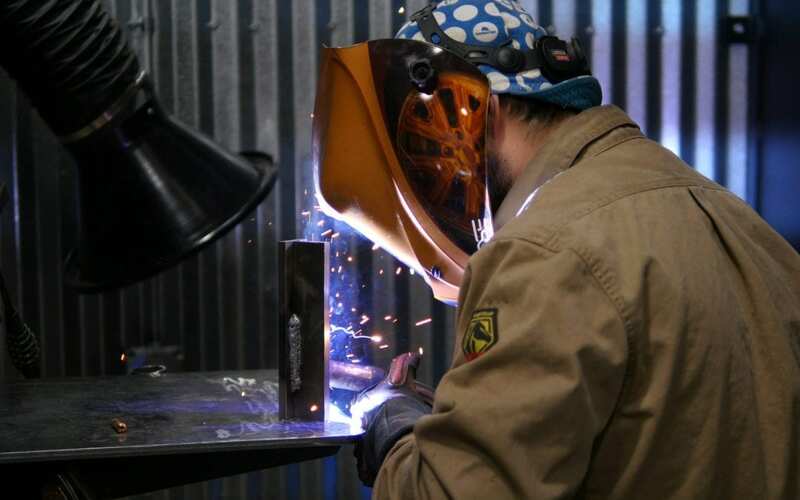 Manufacturers and fabricators that rely on labor-intensive arcs and sparks, but continue to utilize the wrong welding processes or ignore the latest technology, may struggle to compete. Pulsed MIG (solid or metal cored) welding is by no means a panacea for all joining operations. However, depending on your welding application, it may represent a substantial cost reduction opportunity. Pulsed MIG is a modified spray transfer process that utilizes preprogrammed, high output frequency “waveforms” that are designed around the specific electrical requirements of a wire’s alloy content, diameter and shielding gas. 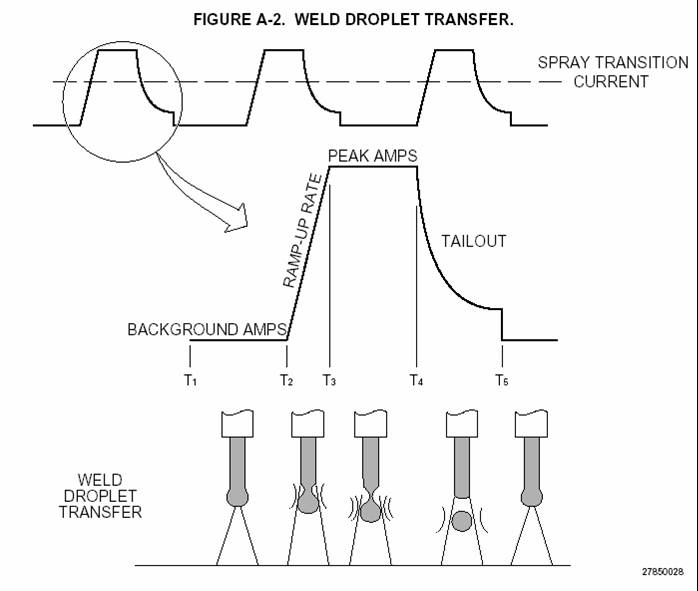 Unlike traditional CV axial spray transfer that produces a generic arc and constant amperage output (dependent on wire feed speed), a pulsed spray provides the right amount of current at the right time. For example, one “peak” current detaches one molten droplet. The tailor-made pulsed MIG arc is exceptionally stable (in part) because it adapts to changes in variables. Changes such as electrical stick out (distance between the contact tip and workpiece), travel speed and plate condition. The finished weld, therefore, is less burdened by costly spatter and clean up. Because output current fluctuates, overall heat input is reduced. This results in out-of-position weld capability (as puddle solidifies faster), decreased distortion, less susceptibility to undercut, and less smoke. This all sounds very complicated but, in fact, pulse technology is easy to use. You choose the correct waveform (for example .035”/4043 aluminum/100% argon) from a menu along with wire feed speed and arc length suitable to the plate thickness you are welding. You then tune the machine to get the arc, penetration and bead profile characteristics desired. Most pulse systems are “synergic.” Therefore, after setting the arc length, the wire feed speed is the only thing you need to change to weld thinner or thicker plate. With traditional CV systems, re-balancing wire feed speed and voltage continually occurs whenever plate thickness changes. Re-balancing requires skill and time. These advantages add to weld quality reduce weld defects and, in the end, reduce the time (labor cost) it takes to get a product out the door. What’s more, today’s pulsed MIG power sources are highly reliable, energy efficient, and affordable (starting at $4,500). In conclusion, welders use pulse technology in conjunction with solid or metal-cored MIG wires of almost any alloy (including carbon, nickel, stainless, aluminum, chrome moly, and silicon bronze). Applications include a high-speed thin gauge to pipe to heavy structural fabrication.